Heathen will be an abstract and fictitious religious ceremony, created by a juggling atheist. Watch a ritualistic event where manipulating handmade objects lies between craft, tradition and art, taking inspiration from British folk traditions. Heathen is a solo juggling performance inspired ancient cultural icons and medieval torture. The aesthetic is pared back and almost primitive, creating sounds and smells which transport the viewer to another time. 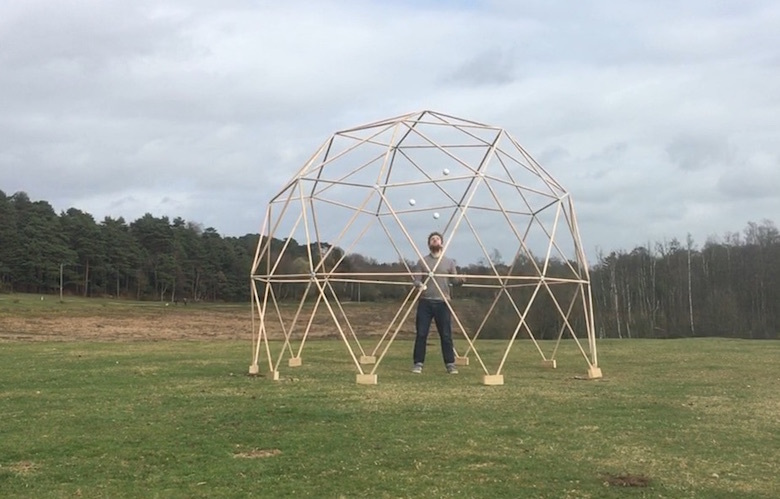 Taking place in small studio space, or outdoors in a wooded area, the piece seeks to instill a sense of ceremony to onlookers rather than to purely entertain them with cunning stunts. All the senses are employed to give a phycological shift to the observers, transporting them into a world where juggling has holy status; vital to society. My interest in religion and rationality has led me to create Heathen. I enjoy the notion of creating a spiritual religious experience through the medium of juggling, which is not historically valued for its high status or importance in our society. I hope the piece provokes thoughts and questions around the use and importance of ritual and the power it can harness. I've worked with dance-artist, Robbie Synge, to develop ideas as part of Labtime. Received Jerwood Micro Bursary to work with Jay Gilligan to develop the technique. I've talked to a few theatres about possibly supporting the show. Potentially Heathen is an outdoor piece set in a wooded area. Otherwise it would take place in a small studio theatre or hall. The show will use handmade props using natural materials (wood, stone etc) and naked flame.